Harris Extra Reach Roller - 9" x 1?" 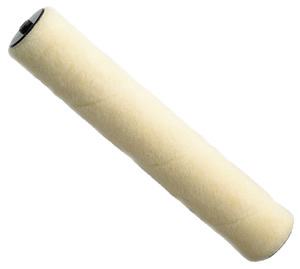 diameter (229 . . .
Harris Delta 12" Medium Sleeve - Knitted Roller Sl . . .
Harris Delta 12" Double Arm Roller Frame & Medium . . .
See all 6 related products . . .
Harris Extra Natural Bristle Paint Brush - 2" (50m . . .
Harris Extra Natural Bristle Paint Brush - 1" (25m . . .
Harris Extra Natural Bristle Paint Brush - 4" (100 . . .